If I have said it once I have said it at least a hundred times, I LOVE MEXICAN FOOD (including Southwestern and Tex-Mex cuisines). 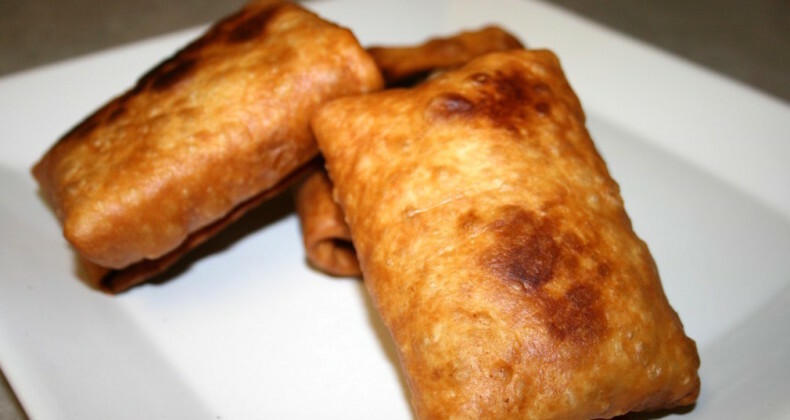 Chicken chimichangas are something I have enjoyed at my favorite restaurants, for some reason it never crossed my mind to make these at home. Recently an old friend from college who is from Jordan (as in the country) asked me for a recipe. I knew I had to make these deep-fried gems. Thank you for asking for a recipe, I don’t think I would have ever thought to make these at home. Have you ever had a chimichanga before? These deep-fried burritos are pronounced CHIMI (rhymes with Jimmy) CHAN (rhymes with JOHN) GA (GAH). Please remember this pronunciation if you ever order one at a restaurant. My husband and I were eating at a restaurant in Columbia, MO when a lady across from us ordered a chimichanga, she managed to pronounce it completely wrong several times during her ordering process while enunciating every syllable (she said CHIMI-CHAN (rhyming with Jane)-GA). I am sure her Hispanic waiter thought she was some dumb gringa. It made me laugh, and it is something I always think of when I see it on the menu. At restaurants, you can find chimichangas filled with shredded chicken, shredded or ground beef, shredded pork, or beans. At home, you can fill them with any kind of meat, beans or rice that you are craving. I filled mine with shredded chicken when I made them for dinner, however, the next day I stuffed my tortilla with leftover chicken, black beans and yellow rice –it was better than the original. This recipe is just a guideline, let your creativity inspire you. Check back for my dessert chimichanga. Heat enameled Dutch oven over medium heat. Add all ingredients. Give them a quick stir to combine and cover for 30 minutes, or until chicken is cooked through. Remove from heat, and transfer meat mixture to bowl until mixture has cooled. Shred chicken with two forks. Heat a couple inches of oil to 375 degrees F. While you are waiting for your oil to heat begin assembling your chimichangas. Warm both sides of your tortillas on a griddle or for 15 seconds in the microwave. Place about 3/4 cup of the mixture in the center of your tortilla. Fold two sides in over mixture. Fold bottom up over the middle and roll it up. Fry for a couple minutes each side until a beautiful golden brown color is achieved. Remove from oil and place on paper towels to soak up any extra oil. Serve with cheese, sour cream, guacamole, and pico de gallo. Like I said earlier these were delicious when I added some rice and beans to the chicken before frying. Be creative. ENJOY! I recently had these in a mexican eaterie called Chiquitos. They were awesome. I am making them for my family this week, but with garlic and herb flour tortillas. I might even try making a dessert Changa myself with maybe an apple puree with rasberrys and strawberrys with whipped cream on the top.